Place cereal in food processor container and process until finely crushed. In a medium bowl, mix with juice concentrate and nutmeg until well blended. Press onto bottom and up side of 9-inch pie plate lightly coated with cooking spray. Bake at 350 degrees F for 5 minutes or until light golden brown. Cool completely on wire rack. With an electric mixer, beat together cream cheese, yogurt, honey and vanilla for 5 minutes until well-combined and fluffy. Spoon into prepared pie crust and smooth top. Cover and refrigerate until set, at least 4 hours or preferably overnight. When ready to serve, prepare sugared cranberries. Dip cranberries individually in water then roll in sugar. Dry on paper toweling. 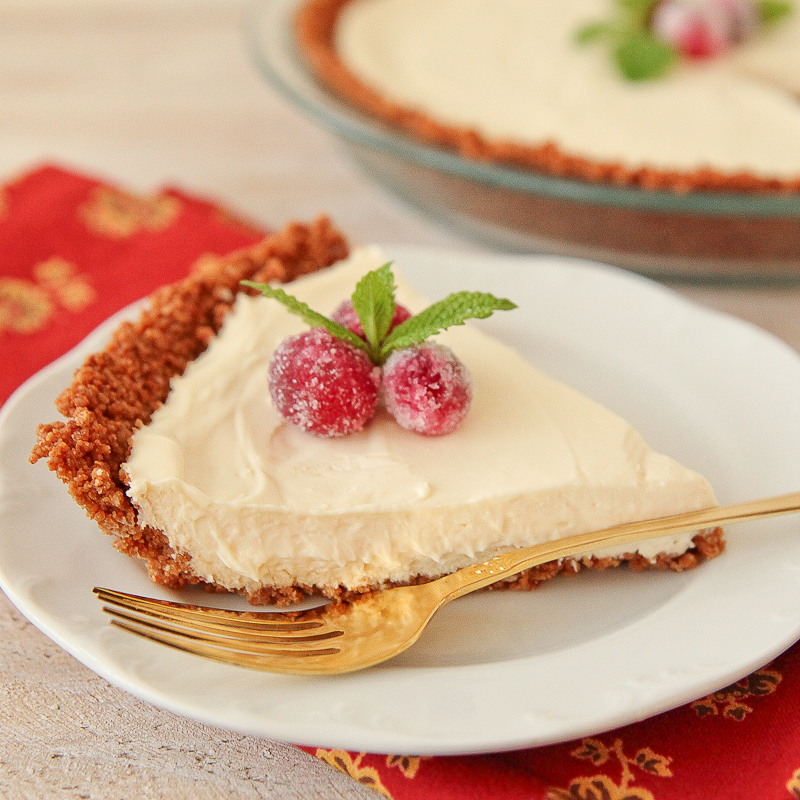 Top each slice with sugared cranberries and fresh mint. Serves 8.